Taken with Olympus E500 digital camera on February 26th, 2007. Click picture for larger view. Black and white photography is not a thing I have done much of, but I think it suited very well with these wonderful snow textures. The wind is a talented artist! 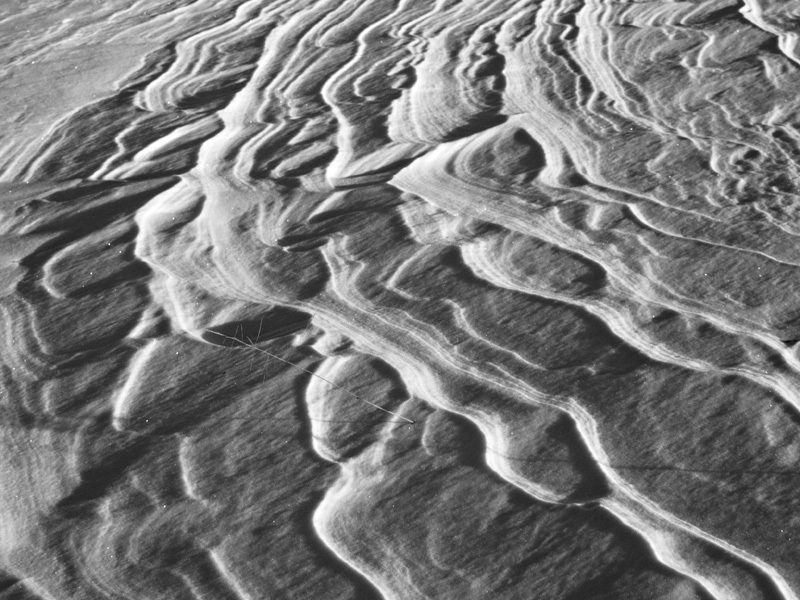 Great shot – love the texture and ripples. Nice captured, Thomas! And pretty soon there will be snow again – enjoy the “indian summer” days! Very impressive. I find black and white photography to be somewhere between difficult and impossible. Bravo to you, Thomas, for capturing such a lovely black and whit image. Saw your response on Blog Catalog, so came to see the pics. Brrrr! Sure is pretty though.